Erkki Seppanen was born in Oulu, Finland, on June 4th 1979. He was educated at Christ Church College, Oxford, and holds a B.A. in Russian with Linguistics and an M.A. (Oxf) degree. In 2012, he graduated from Helsinki University with an M.A. in General Linguistics. Erkki has also studied at the universities of Oulu and St. Petersburg. Currently, Erkki lives in Tampere, Finland, where he works mainly as a musician. His main activities are music, singing and songwriting, but he also writes poetry. So far, Erkki has published one poetry collection in Finnish (Cogito, Ego and Other Misunderstandings) and he is currently slowly working towards a second collection. With his bands, he has released eight albums so far. Erkki is the lead singer of KYPCK and Dreamtale. 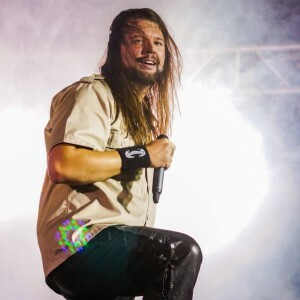 In addition, he also performs as vocalist for some coverbands, such as Purplestone, which plays mostly Rainbow and Dio, as well as the Iron Maiden tributes Made In Iron and The Coverslaves. His acoustic project is known as Seppänen Acoustic Band. Erkki is known as a versatile, expressive singer, with a wide delivery ranging from punk to doom-metal and all the way to soaring power-metal vocals.